Aitor Karanka has challenged his Nottingham Forest side to keep improving. Confidence remains high at the City Ground following a seven game unbeaten run which has seen Forest surge into the play-off places. And Karanka wants his side to keep up the fine form when they entertain Preston tomorrow. 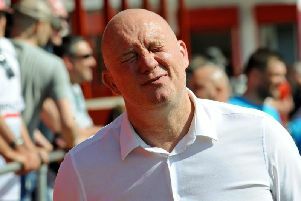 He told the club’s official website: “I am really pleased because in every single game, the team is showing improvement. I said we needed time and now we are in a good moment, everybody is confident and playing better every day. “We are getting more compact on the pitch, we are not conceding goals and we are playing football but there is a long way to go. We are still in December and there is a long way until we are finished. “When you arrive to a point or achieve something, it is more difficult to stay at that point than it is to get there.